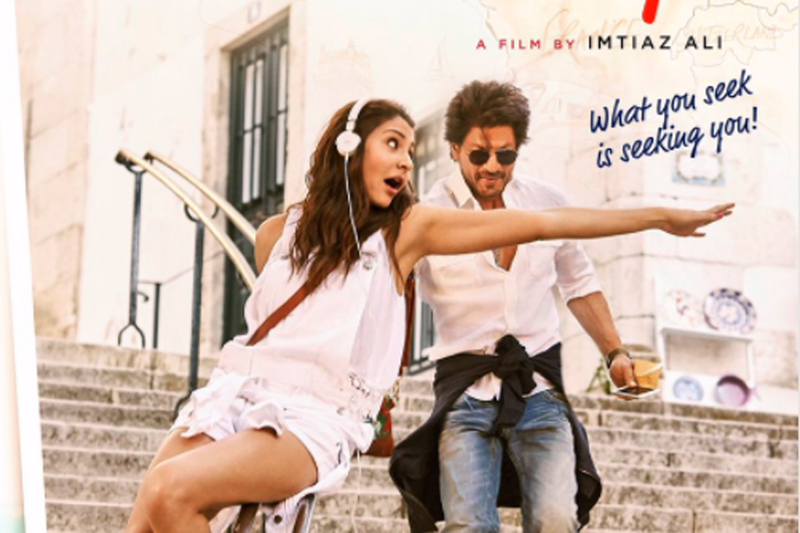 Shah Rukh Khan and Anushka Sharma’s much-awaited film movie Jab Harry Met Sejal has finally hit the screens today. The film brought together the fresh combination of Shah Rukh Khan and Imtiaz Ali. There is a lot of buzz surrounding the film and the hopes are pretty high. The romantic comedy is directed and written by Imtiaz Ali and produced by Gauri Khan under the banner of Red Chillies Entertainment. According to the Khaleej Times, the story obviously revolves around two characters- Harry (Shah Rukh Khan) and Sejal (Anushka Sharma). Harry is a tour operator and his client Sejal loses her engagement ring in Amsterdam. So, she requests Harry to join her to search the ring. Much against his will, Harry get stuck with her as she won’t leave the city unless she finds it. Imtiaz gives a Sufi angle to the movie but due to the complicated contemporary love, the audience loses their connection with the characters. The plot is lost somewhere and the audience feels disappointing. Shah Rukh Khan as expected has proved that he is the real King of Romance. In every frame he appears, he just mesmerizes you. Anushka too delivered a brilliant knock. Pritam does a phenomenal job in the music department and gives wings to the poetic lines by Irshad Kamil. JHMS has a budget of Rs. 65 crores without SRK fees and promotion cost is Rs. 15 crores, with this the total stands out at Rs. 80 crores. The film is released on 5350 worldwide screen count. Out of 5350 overall screens, it will be releasing with 4800 screen across India and 550 screens allotted for rest of the world. The film has taken a bumper opening in UAE. Most of the early shows have gone Housefull and the overall occupancy is up to 80%. Some of the audience could not even get tickets. The film grossed $135k in just one hour of its release. According to the Movie Box Office Collection, it is predicted that total lifetime collection of Jab Harry Met Sejal will be around Rs. 180 crores worldwide.The reports of Advance booking of Jab Harry Met Sejal is very good and the occupancy of morning shows is recorded more than 75% and followed by afternoon shows by 85% where as evening and night shows are already housefuls.